If you're looking for a tasty dip or need a great topping for your tacos, burritos, or enchiladas, this Fully Loaded Guacamole is just the thing. 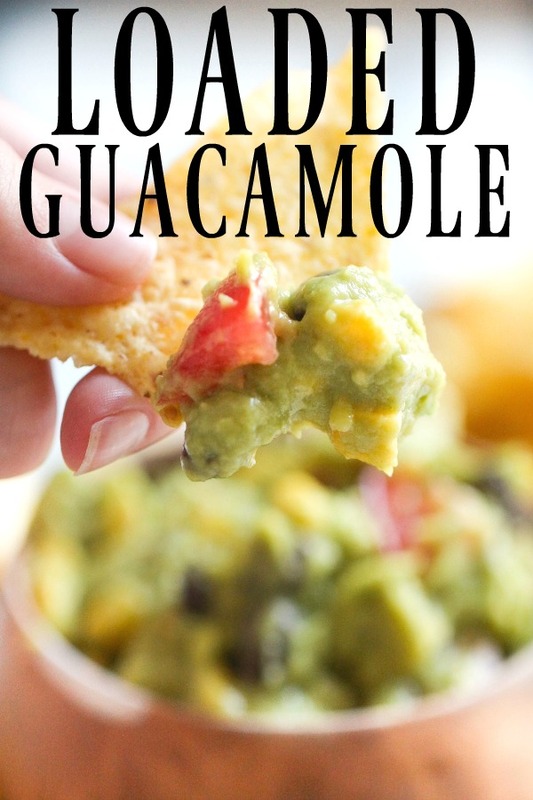 It's creamy, it's delicious, and -- because we're using Wholly Guacamole as our base-- it's so easy! Cinco De Mayo is one of our favorite days to celebrate because of all the delicious food that goes with it. This year we are working with Wholly Guacamole to share with you one of our favorite foods – guacamole! Wholly Guacamole takes the ease of guacamole to a whole new level. My favorite thing from Wholly Guacamole is their 100 calorie packs – It is perfect if you just want a single serving. This recipe of Fully Loaded Guacamole uses 2 of Wholly Guacamole’s 8 oz containers. It was a huge hit with my family and all of our visitors! 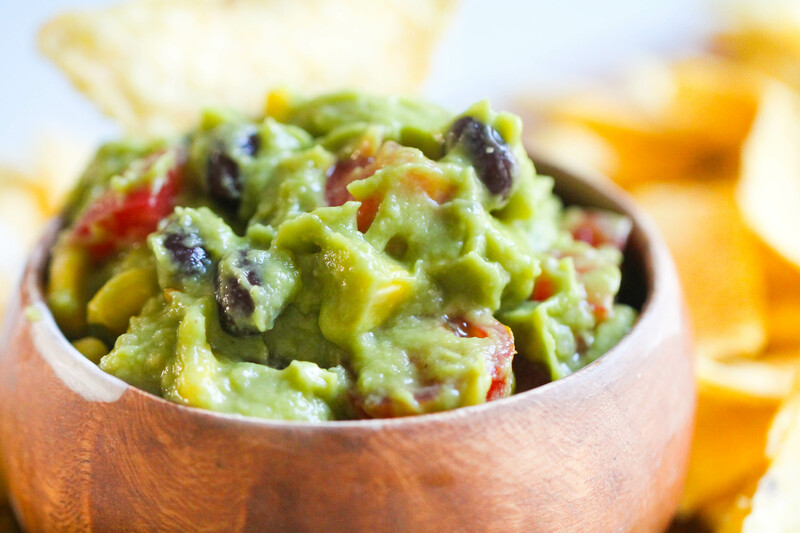 So, whether you’re celebrating Cinco de Mayo, bringing a dish to the Super Bowl Party, or you just are craving some good guac, you probably need this Fully Loaded Guacamole. Fully Loaded Guacamole really can’t be much easier. Start by prepping your “extras.” Rinse and drain the beans, dice your tomatoes, chop your cilantro, juice your lime, dice your jalapeño, dice your garlic, and chop your onion. Mix all of your extras with the Wholly Guacamole and refrigerate for a couple of hours. Mixing it up a few hours before you intend to serve it allows the flavors to really blend and make this a flavorful guacamole. Best way to eat Guacamole? Serve as a dip with your favorite chips. Add to your burger or BLT. Top your taco, burrito, or enchilada. Finish off your plate of nachos. Add it to toast and top with a fried egg. Use it as a dip for carrots, bell peppers, or grape tomatoes. How do I Keep my Guacamole from Browning? Don’t skip the lime juice. The added lime juice can help prevent the oxidation process, which is what’s making your guacamole turn brown. You may even consider adding the lime juice on top and mixing it in later. Cover it! Before sticking it in the fridge, cover your guacamole with plastic wrap. Press the plastic wrap directly onto the guacamole to limit the amount of air getting in. Today on our Youtube Channel, we are showing you how to make Fully Loaded Guacamole. Combine all ingredients in a medium sized bowl and mix until well combined. Transfer to a serving dish and refrigerate before serving. This guacamole is best when made a few hours before serving. My favorite way to eat guacamole is with baked sweet potato rounds. I love eating guac with chips and margaritas!! I love guacamole on a burger or a BLT! love guac and tortilla strips!!! The best!!! I love it in a 7 layer dip. I also love with Eggs Benedict. I love guacamole on any kind of taco! Chips and guac! Plus an ice cold drink is perfection. I love to eat plain avacodes with lime juice and chips! YUM! I love guacamole on just about everything! I think my favorite is on sandwiches or just with chips. My favorite way to eat guacamole is with Krunchers chips! I like guacamole on tacos or tostadas. I also mix it with salsa and black beans for a quick dip with chips. I love eating guac on the side with my loaded beef and chicken nachos. Love guac with chips, but I can also just eat it plain! I love it piled on some chips with an ice cold Negra Modelo! I love wholly guacamole on Dr. Kracker Seedlander crackers EVERY day for lunch!! I love guacamole on buffalo chicken tacos, on burgers, and on chips. Heck, I like it on everything! I love to put it on salad with cottage cheese.. OH MAN it is so good. I love guacamole with chips! I love guac on anything but especially grilled salmon! With fresh, warm, salty tortilla chips!! I love to eat Wholly Guacamole with cottage cheese, grape tomatoes and crackers. I love eating guacamole with chips. Absolutely just straight on chips! I love to eat guacamole on a mexican salad. No salad dressing necessary! Just had some guac today! I am a purist...straight up on chips. Love it on a grilled chicken breast sandwich with lettuce & tomato ?? Love it on almost anything! If I had to pick a favorite it would be guacamole on a BLT! Holy Moly Guacamole it is a must on baked potatoes! Love guacamole on a ton of things or just used as a dip. I love to make turkey, bacon and guacamole sandwiches. Absolutely delicious!! I Love guacamole on a turkey wrap sandwich! Truthfully, I love guacamole on everything, but especially grilled chicken sandwiches with cheddar and bacon, yum! Gotta have it with tortilla chips! Preferably with refried beans and salsa, too. Y-U-M! I love guacamole on tortilla chips, or just eating it out of the bowl, it's soo good! Guacamole is best when I'm sharing it with my 93 year old mamma. I love it on a tomato sandwich. I love avocados with salt and pepper and I'm also always up for guacamole in cowboy caviar!!! My favorite way to eat guacamole is on toast with a fried egg sprinkled with salt and pepper. :) Thanks for doing the giveaway! On chips, sandwiches, burgers...the list goes on and on! My fav is to just eat it with chips so I can just taste the guacamole. But I like it on everything! Love to use it as a spread on sandwiches! I love guac by itself or with chips or on tuna & chicken salad sandwiches. I love Guacamole with Fish and Grits with salsa on the side. I love guacamole on grilled burgers, turkey wraps, egg sandwiches and of course chips! I love Wholly Guacamole with baby carrots! Just plain chips and a margarita -- Heaven! I love to use guacamole as salad dressing! I love guac on a big plate of nachos. Love with chips and salad. I make a homemade zucchini salsa and mix my guacamole in and eat it with chips. It's amazing!!!!!!! 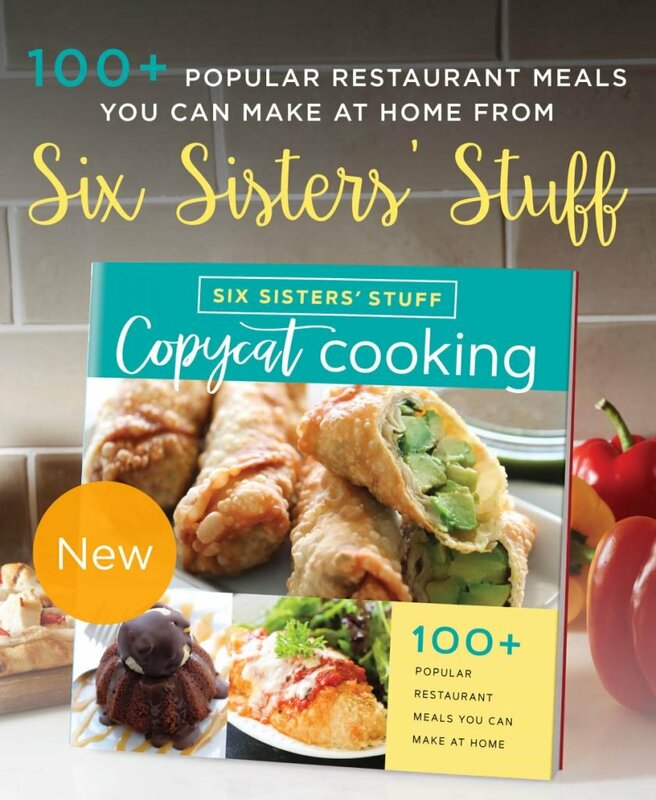 I love to eat mine with homemade pita chips. Over a baked potato. Delicious! I love guac and chips and also to use it in sandwiches in place of mayo. Guac/cheese/egg/bacon on an English muffin! My favorite is with tortilla chips. I love it on burgers and of course, chips and beer!!! Chips and guacamole can't be beat!! Over fish is good, too!! Love guac on egg salad sandwich with bacon! Love to eat guacamole any way I can. On chips, fajitas, sandwiches, eggs, shrimp. Yes I LOVE guacamole! Love guac on a buffalo chicken sandwich! I actually have never had it but really want to!! I love eating guacamole with plain old good tortilla chips! I LOVE guacamole!! I love to eat it with veggie pizza! We love Guac on top of scrambled eggs served on warm tortilla shells with cheese and chorizo. I love guac any way. Can't wait to try your recipe...loaded! I love guacamole on a BLT!! I love it on chips, but I also love it in a salad or wrap! I like to eat it mixed with roasted chicken! I love guacamole with plantain chips! I love guacamole on / with just about everything. It is one of my favorite foods! Any sandwich is amped up with some guac on it! I love to eat Guacamole with a ton of chips by the pool!! I also love it on my taco salad! 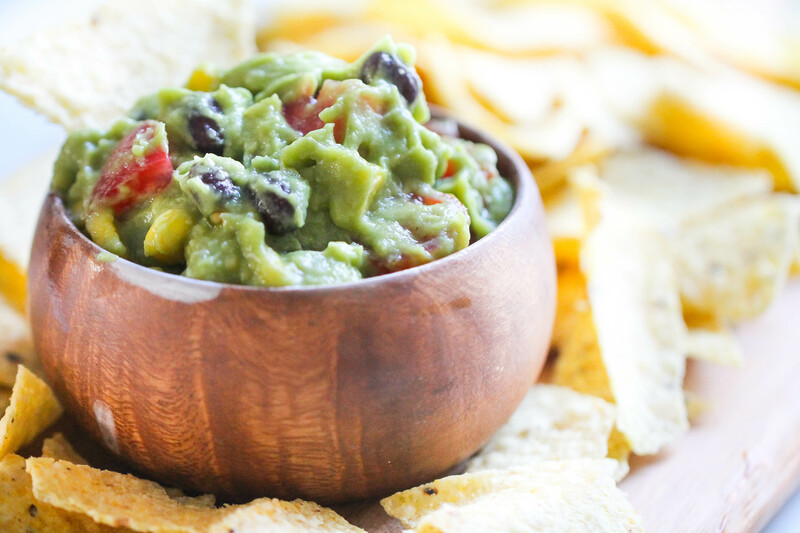 My favorite way to eat guac is on chips while enjoying an ice cold beer or margarita! We also love guac on our burgers & tacos. I love Guacamole on anything but my favorite way is on good old hamburger! My favorite way to eat guacamole is with chips around a table full of my family and friends. We love to dip pizza rolls in guacamole and ranch. I like plain old chips and guac! There is no better appetizer! With chips! oh wait, 7 layer dip but on hamburgers is great too! Who am I kidding... any way I can get it!! Give me a bag of tortillas chips and guacamole and I'm a happy girl. My favorite way to eat it is with chips. I love guacamole on chips also on a burger. Love it with tortilla chips or on toast. Love to top nachos with lots of guacamole! I love it with homemade chips! I love topping my veggie burger with guacamole. I'm traditional, I like to dip tortilla chips in guacamole. I love my guacamole on lime-flavored tortilla chips with a little bit of homemade queso on top. Basically, traditional and delicious! Cant go wrong with chips, guac, and salsa! Straight up with tortilla chips is my favorite, but we really enjoyed the guacamole bacon potato salad this week! I love guac on top of loaded nachos ... and just about everything else, as well! I like mine with tortilla chips and salsa. I love it on tacos. I love mixing guacamole with my ranch and using it as a salad dressing!! I love it with egg salad. Amazing together! I love Guacamole on EVERYTHING!! Eggs, chips, burgers, whole wheat tortillas, sandwiches, tacos, enchiladas, burritos, you name it. I even like to use it on my salad instead of a dressing. I love guacamole with chips, or in a salad instead of salad dressing. Guacamole is good on most things. I love it with plain Doritos. Also on a turkey burger, with egg salad, on tacos, and instead of dressing on a salad. Hard to choose a favorite! I love to eat guacamole on bacon and tomato sandwiches. I love guac on tacos. I like to dip taquitos in guacamole. I'll eat it any way I can get it! But love it on homemade enchiladas! Love it on sourdough toast and just by itself. Hamburgers, hot dogs and toast!! I USE IT AS A SANDWICH SPREAD. I ALSO LOVE IT WITH MOST ANY MEXICAN DISH. I ALSO LOVE IT ON SALADS. I love making Mexican tostadas with guacamole. Yum!! Thank you. I love guacamole with tortilla chips. I could eat guacamole every day with tomatoes and chips. But I also love guacamole on any type of Mexican food. My favorite way to eat guacamole is with a "spoon"! It is so yummy all on its own. You don't need anything else. I love putting the GUACAMOLE on my street dogs!! I love it in 7 layer dip! Yum! I love guacamole on bean burritos. I love it on a turkey sandwich with alfalfa sprouts! Love it with Hot Ghost Pepper Salsa and chips! I love guacamole most ways..I am trying to cut out unhealthy fats, so quacamole is perfect for me..all GOOD fat!!!!!! Any way is a good way - am addicted to the stuff! being diabetic the chips are limited so I love guacamole on a spoon all by itself! So yummy! I love eating guac with chips, and sometimes on a sandwiches. Favourite way to eat guacamole.. As a refreshing touch in a wrap with crispy bacon and egg, with a dash of pepper. I put guacamole on eggs, toast, burgers, tacos, basically everything. I tend to have at least one of the wholly guacamole packages a day for lunch with tortilla strips.